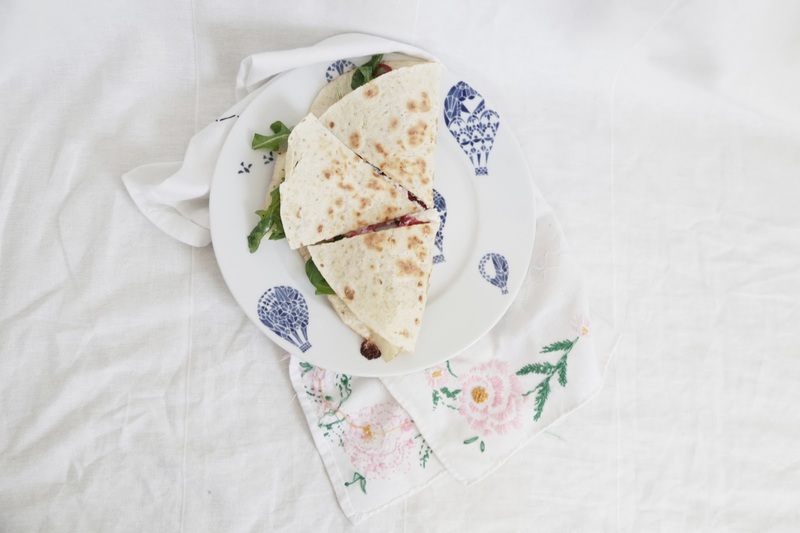 this version of a quesadilla is inspired by summer lunches spent on the porch, listening to florence and the machine in my favorite sundress. caramelize the onions by thinly slicing the onion and sautéing on medium heat with a bit of olive oil and a touch of sugar and set aside. next, place arugula in a small bowl with a scant amount of olive oil and mix together and set aside, too. 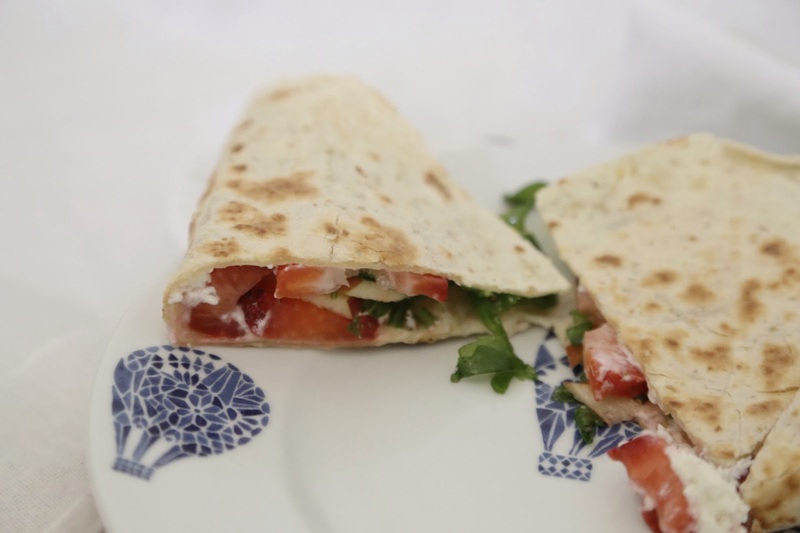 on medium heat, lay the tortilla down onto a sauté pan and add the goat cheese, strawberry, apple and caramelized onion. 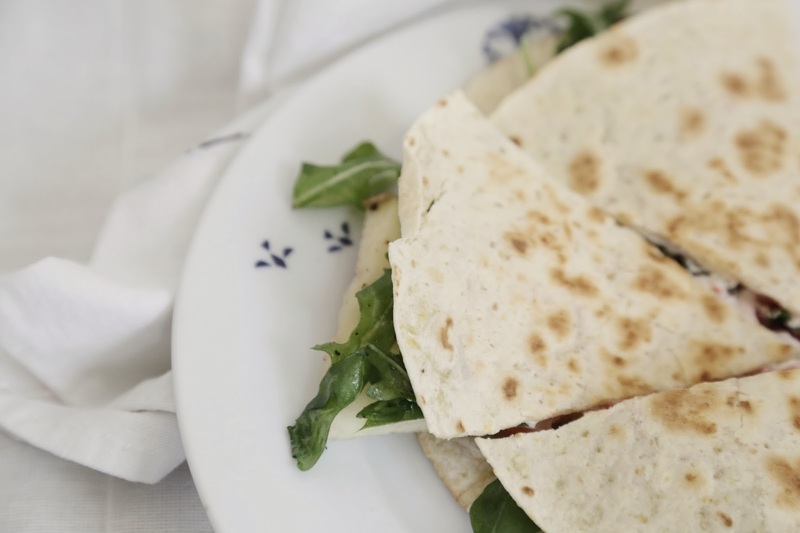 right before folding the tortilla, add the arugula and sprinkle with sea salt and pepper.